This Hemet bar for sale includes a full liquor license (Type 48) that is not required to serve food, and also includes the real estate with onsite parking. This opportunity offers the rare instance of owning both the business and the property, allowing the buyer to be their own landlord and avoid the hassle of negotiating lease terms or options. The inclusion of real estate also offers potential bank financing options. The business is available for sale without the real estate at an asking price of $300,000. Location and Facilities: The business operates from a 1,800 square foot facility. The real estate includes two additional retail spaces, one currently leased, and one available for lease, offering a new owner additional rental income. All of the business assets and real estate are included in the total asking price, including the Type 48 liquor license. Inventory estimated at $5,000 will be sold in addition to the purchase price at cost at close. Market Information and Position: This business has plenty of room for growth. The business is operated absentee with the owners somewhat removed from the daily operations. An owner who is either working the bar or more involved will naturally have better insight on how to improve operations and increase revenues with both marketing efforts and operational controls. 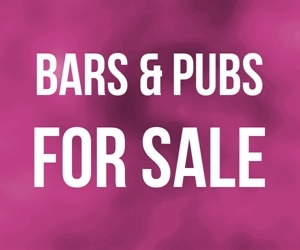 Given that the adjacent space would be included in the sale and is vacant, new owners could theoretically join the two spaces and launch a sports bar, a large scale lounge or billiards hall. Competition is considered medium as other similar restaurants exist in the area, however the opportunity has a unique market position and a business with both a Type 48 license and real estate is rarely presented.